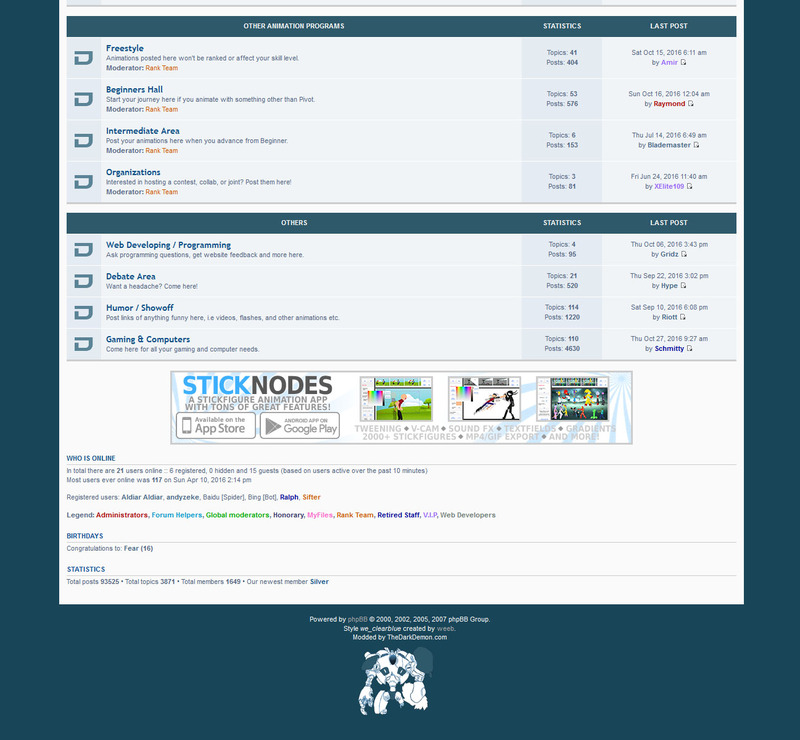 phpBB.com • Adding an image above "Who Is Online"
Adding an image above "Who Is Online"
Hi everyone! I am trying to incorporate an ad above the "Who Is Online" section near the bottom of my forum, but I cannot find where the coding is. Can someone assist me with locating which file I should be editing so that an image will appear above the "Who Is Online" section? I am using the style we_clearblue, and it's running version 3.0.13-PL1. Re: Adding an image above "Who Is Online"